Kirsten Grind, author of “The Lost Bank,” on the largest bank failure in U.S. history. Over the course of a hundred-plus years, Washington Mutual built a reputation as a risk-averse, customer-focused regional bank, one that was widely regarded as a “friend of the family.” But in the last decade of its existence, WaMu changed its priorities in an effort to become America’s largest savings & loan, and WaMulian’s (as employees referred to themselves) carried out the company’s plan, making an ever-increasing number of risky mortgage loans in an effort to gain market share and make as much WaMoola as possible. While WaMu did succeed in becoming one of the largest banks in America, its share price plummeted in the wake of the 2008 financial crisis. 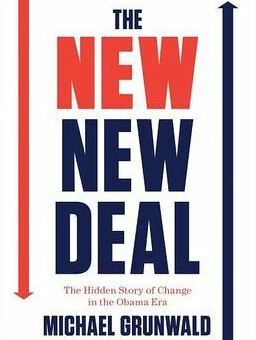 And on September 25, 2008, federal regulators marched into its headquarters in Seattle and seized the bank, turning over its assets to JPMorgan Chase for a mere $1.9 billion. 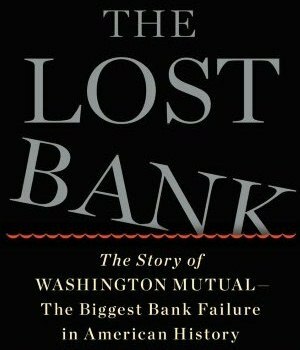 In the new book “The Lost Bank” (Simon & Schuster), Wall Street Journal reporter Kirsten Grind provides the reader with a behind-the-scenes look at the people and decisions that led to WaMu’s failure, as well as the largely unexamined days before the bank was seized and sold. In the following Q&A, Grind discusses WaMu’s rise and fall, and why its closure remains controversial. How did a once-humble local bank morph into a huge, impersonal monster bank? What happened is that in 1990 Kerry Killinger took over as CEO, and over a period of ten years he grew WaMu into the country’s largest savings & loan. But what really went wrong is that around 2000 he set a goal of becoming the country’s largest mortgage lender. WaMu went deep into risky mortgage lending—making Option ARM loans and subprime loans and all of those loans you’ve heard about. From a numbers standpoint, did WaMu deserve to be shut down? The bank had not run out of money on the day that it failed. The CEO who had been brought in several weeks earlier [Alan Fishman] was trying to sell WaMu on the open market, which generated a lot of interest. He also had his own rescue plan—one that wouldn’t have required government intervention—but WaMu had no support in Washington D.C. and he never heard anything back from regulators about it. How long the bank could have lasted on its own post-September 25, 2008, it’s impossible to tell. But TARP—which all banks received—was passed just six days later. So the decision by the FDIC to shut it down continues to be very controversial. If WaMu had been based in New York, would events have unfolded the same way? Geography was a very big factor. Although the decisions that put the bank in a perilous financial position could have been made in any boardroom across the country, WaMu’s last months may have played out differently had the bank been based in New York and not Seattle. The bank’s political insulation far away from the East Coast power centers also made for some dramatic culture clashes when [New York-based] JPMorgan Chase took over. So one of the lessons here is that big companies need to have close ties to Washington to ensure their survival? It became apparent that it really matters who you know in Washington. Killinger had not made that a big priority. He wasn’t as politically-savvy as Jamie Diamond [CEO] of JPMorgan Chase. So you saw what happened when all of a sudden the government was choosing winners and losers during the financial crisis. Killinger found he had no friends to back him up. I have the sense that the Federal Deposit Insurance Corp. (FDIC) was afraid of what might happen if its insurance fund had to cover for the failure of a bank as large as WaMu. That played a huge role. Sheila Bair, then the chairman of the FDIC, was very focused on protecting the deposit insurance fund. And rightly so, because we were at the start of what would turn into a very long stretch of bank failures. If WaMu failed, it would have wiped out the fund. But she was so focused on that to the exclusion of everything else that it prevented her from seeing opportunities to save WaMu. The FDIC didn’t lose any money when it seized WaMu, correct? They did not lose a penny, which is very unusual. In fact, only nine people from the agency were needed to close the bank. That’s an indication that WaMu was much better off than the picture that was painted. With later bank failures—even at very small community banks with a fraction of the assets of WaMu—they would send teams of a hundred people. So it was a very smooth closure, and the FDIC considers it very successful. The failure wiped out all investors. It was one of the first times that bond holders were allowed to lose their positions. And many of the shareholders were mom & pop holders of the stock that had first invested during its IPO in the 1980s. They were regular people that really believed in this bank that had been around for 119 years. And only six months earlier WaMu had received a $7.2 billion infusion of private equity from TPG, which is a very well-known private equity firm. They were completely wiped out as well. What are some of the other lessons that can be learned from WaMu’s failure? One of the lessons that often gets overlooked—not just in banking but in general—is the importance of retaining your corporate culture. WaMu had created this culture that was very focused on employees, who loved working there. You saw that erode as the bank became market-share driven and focused on selling-selling-selling above all else. They stopped caring about values that they once had. However, the bank grew so large so quickly, that the culture that once existed suddenly couldn’t be retained, and actually didn’t make sense any longer. How might similar bank failures be prevented in the future? I am very skeptical about our ability to prevent similar financial disasters, even with sweeping new regulations. Regulations don’t target human nature, although of course they try to restrict it. Just three years after WaMu failed the broker-dealer MF Global collapsed after making bad bets on European debt. Many of the factors that caused MF Global’s downfall were eerily similar to those that contributed to WaMu’s failure—an ambitious chief executive who liked to take risks, unheeded warnings, and failed regulatory oversight.